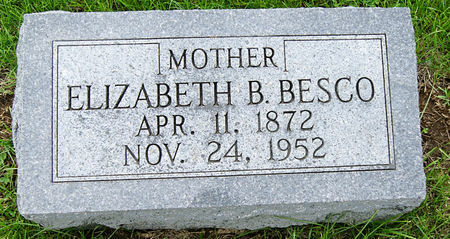 Elizabeth Belle Myers, daughter of Lambert P. Myers and Rebecca Riley, was born April 11, 1872 in Clarke Co., Iowa and died Nov. 24, 1952 in Maryville, Nodaway Co., Missouri. She married 1) Willis G. Morris Nov. 18, 1894 in Clarke Co., Iowa and 2) John Frederick Besco Nov. 15, 1906. Searching for ELIZABETH BELLE MYERS MORRIS in Taylor County Iowa?